What is a football game without a halftime show and a marching band? This photo features the Pride of the Sunshine Marching Band (I really hate that name and I really wish they would get a new staff – maybe they should hire me to write their halftime shows?) 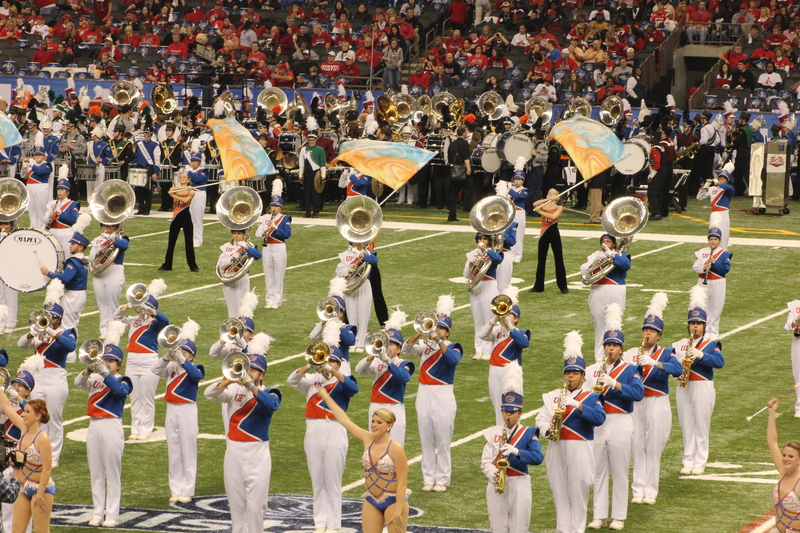 at the halftime show at the Sugar Bowl.